A few years ago on Thanksgiving, I drove to Mill Valley to join some family friends for dinner. It was at my friend’s father’s home that he shared with his girlfriend. The gathering was mostly people I didn’t know, although my friend and her own family are some of my nearest and dearest. After we ate, we went around the table to name a few things we are grateful for. This is a sweet tradition that I’m sure many of us share in the throes of Thanksgiving feasting. My own son, who was 7 or 8 at the time, grew shy in front of all the strangers and declined his turn to share. Later in the evening, as people milled around and drank wine, a woman came up to me. Her son, a young teenager, had shared his gratitude with the crowd. She began to tell me about her own child, how since he was small he had kept a gratitude journal (her idea) in which he wrote down three things he was grateful for at the end of each day. She continued on to talk about how important this was, for our children to express gratitude. Maybe I should try the journal, she suggested, so that my child would be more comfortable sharing his gratitude. I noticed an odd feeling come over me—in the midst of the glowy aftermath of the feast, this conversation was constricting me in some way. “Wait a minute,” I thought. “Are you bragging that your child is more grateful than mine? And further, are you insinuating that I have failed in some way by not urging my child to write down three gratitude statements each night?” The conversation felt a bit yucky, like parents discussing report cards or other academic achievements. I smiled and thanked her for sharing her experience. I noted a few things: First, of course, that this conversation instilled guilt and defensiveness in me. Do I have guilt around gratitude? Yes. Most likely I am not the only parent who has cringed as her child seizes a gift gleefully without uttering the magic words—thank you. Further, I have witnessed my child be spoiled with treats and indulgences, only to collapse at the end of the day in tears and cries for more. “You should be thanking me!” I have said, in those terrible moments. “Be thankful!” How many times have we uttered those words to our children, while silently admonishing ourselves for our role in this ungrateful display? So yes, I felt guilt. I want my child to be perfect and grateful and polite and perfect. And did I say perfect? And guess what—he isn’t. After looking at the guilt this conversation brought up for me, I let a little bit of rage in: “ONLY IN CALIFORNIA,” I thought. Only in California would a mother lecture me on the superiority of gratitude that her child has. Ugh. Leave me and my kid out of your self-righteousness. I thought. Yes—I thought all of these things, and I’m telling you about it. Finally, I brought myself to the larger conversation, the one that really matters: what IS gratitude anyway? And how do we express it? What does it really mean to EXPERIENCE gratitude? I, for one, know that gratitude does not come in words. Just like true prayer, it is not a string of words in a particular sequence that unlocks the true intention behind it. Gratitude, like prayer, is completely selfless, born from the heart. It cannot be forced. It is endless and boundless and it connects our spirits to the world at hand, flowing through our minds and bodies. Gratitude sometimes comes as a surprise, bursting forth with wild abandon, bringing us to tears. Sometimes it builds slowly, forming a deep and silent pool within us. Gratitude exists, and we are part of it. Real prayer, for me, is in action. It is in moving my hands in the dirt, turning my face to the sun, experiencing the quietude inside a snow tunnel as a little girl. Gratitude for me is the same. It’s not a list of things. It is a feeling, an awareness, and opening; it is taking care of myself so that I can breathe deeply and be strong and healthy so that my heart can stay open and transfer love in both directions. After all of this, I moved finally to my last phase of processing, which was humor: I laughed at it. This time I thought “Only in California!” with a smile on my face. I marveled at this place and time, this moment that I live in, the new ways that we package belief systems and judgment. I laughed at myself for feeling so triggered by the event, and I forgave myself for self-judgment and for my judgment of others. Silently, I felt grateful for myself and my being, for that deep inner-knowing that reminds me of me, and for the small, precocious child in my life who I birthed, who has taught me more than I ever imagined about gratitude, about boundaries, and about belonging. 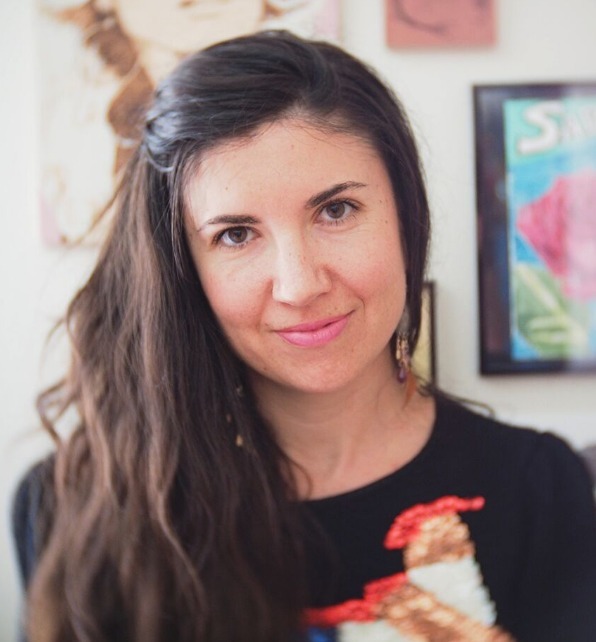 Sadie Rose is a mother and writer and is the course director at Annapurna Living. Through her work she strives to connect women with each other and to create beauty from elements that surround her. Connect with Sadie Rose on her website and on Instagram.